The Benefits – Become a Travel Agent with Prestige Travel Systems – The Original Host! Our philosophy is to provide an opportunity for individuals to enter the travel industry at a very low cost. We then provide the training, motivation and sales opportunities for you to grow in knowledge and income earned. You can simply refer clients to our reservation center and earn your commission...OR we can train you to be a professional travel agent with our step-by-step training programs. Your introductory (Level I) Start-Up & Travel Agency Package provides you with the procedures, forms and training which gives you the skills and understanding to start booking travel through our partner agency immediately. Optional Advanced Training courses provide you with the knowledge and resources to become a self-reliant and confident travel professional. Learn about the world and other cultures. Be your own boss with a flexible schedule. Direct access to major travel suppliers. Agency sponsored training familiarization (FAMS) trips and cruises. Experience the world through supplier sponsored trips when qualified. Reduced rates for hotels, car rentals and cruises when qualified. Exclusive "Dream Cruises" for Prestige Agents only. 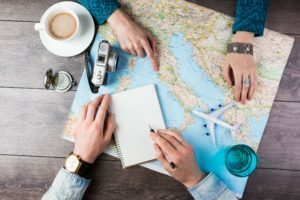 A major advantage of being in the travel industry is that whenever you travel you can deduct a variety of expenses because travel is part of your ongoing industry training and familiarization. Every time you fly, cruise, stay in a hotel or visit a theme park you are evaluating your experience in order to assist your clients with their future travel plans. Consult with your tax advisor for specific details. A tax deduction and planning workbook is available through the Prestige Agent Network, which includes worksheets and tax reference materials. Be eligible for thousands of dollars in new deductions. 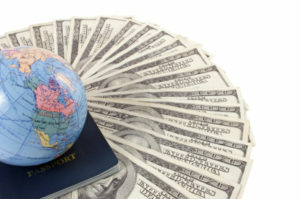 Deduct the cost of vacation travel. Deduct automobile, home, phone and personal computer expenses. Deduct restaurant, golf and recreation expenses. Travel Sales - Receive commission for cruises, tour packages, airline tickets, car rentals, hotel accommodations, rail and travel insurance for all travel personally sold or referred to our Reservation Center. Travel Incentive Certificates - Our partner agency is one of the leading suppliers of high quality travel certificates for mortgage and real estate companies, car dealerships, as well as corporate employee benefits. Prestige agents earn commissions for direct or referral sales. Internet Travel Website - We can provide you an internet travel website, which provides travel booking engines, a lead manager system to track site users and trip requests and much more! You can work directly with your clients or they can be routed to our reservation center. Travel Club - Allows you to offer club memberships to attract new clients. Lifetime membership provides yearly benefits including a 7 Night Cruise on major cruise lines and a 7 Night Condo Vacation at worldwide resorts. Additional benefits include complimentary hotel stays and companion air fares. You can earn up to 100% commission of membership fees and 30% commission earned from members travel. Preferred Customer Card - Your start up package includes Preferred Customer Cards which you can distribute to potential clients. Each card tracks your Agent I.D. number to assure you will receive your share of commissions earned. Referral Program - Prestige Agent Network agents are also eligible to earn income for referring clients to the Travel Club, and for people who are not your travel clients who you refer to the Travel Agent Program.